Lee Sandlin was a very talented Chicago writer of stories, long-form journalism, and non-fiction books. 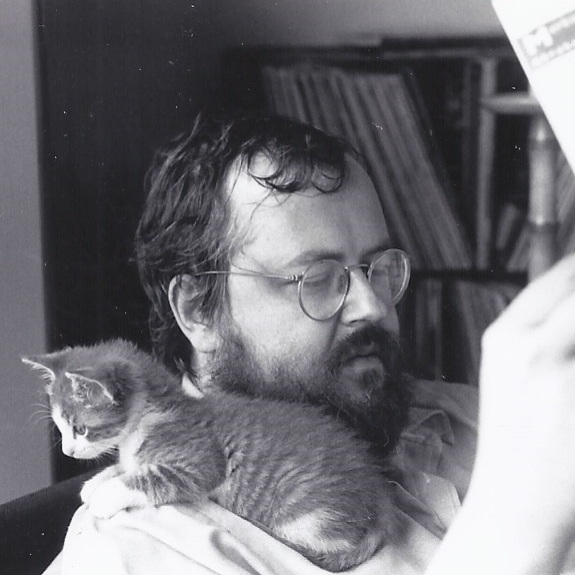 He crafted essays for the Chicago Reader weekly magazine for more than twenty years and wrote book and performing arts reviews for the Wall Street Journal. His work has also been featured by Ira Glass in This American Life. Sandlin's vivid and intelligent style captured the beautiful in the mundane and the respect of prominent writers and editors. Lee was a fourth-generation Chicagoan and long-time resident of the 47th Ward. His honorary sign is located in the Lincoln Square neighborhood on the block where he and his wife Nina have lived for more than twenty years. Learn more about the life and works of Lee Sandlin from his website. the Chicago Reader Archives, and selected works listed below.